According to the Bureau of Labor Statistics, the largest employers of forestry personnel are the state and federal governments. However, the government is not the only source for forestry employment. The forest products industry is a very large employer and routinely hires foresters, forestry technicians and forestry workers throughout the United States and Canada. They usually hire foresters to work on company lands or to purchase wood for their mills. There are also forestry consultants. You may get your first start as an employee of a large consulting forestry firm who generally works for anyone needing forestry assistance. They do it all, either for a flat fee or a percentage of the sale of timber. A professional forester has a minimum of a Bachelor of Science (BS) degree in forestry. This degree has to be earned at an accredited forestry school and is usually a minimum entry-level requirement for becoming either a registered or licensed forester in many states, or to become a Certified Forester by the Society of American Foresters (SAF). Foresters are being trained and hired all over the world. Much of what a forester learns is in addition to formal training (see more on what a forester needs to know). Foresters spend considerable time outdoors the first years of their careers. Typical entry-level responsibilities might include measuring and grading trees, evaluating insect outbreaks, conducting land surveys, working in an urban park, evaluating water quality, fighting wildfires, managing prescribed fires, laying out a road system, planting seedlings, and planning recreational use of forestlands. Many foresters manage forested property or purchase timber from timbered lands. An industrial forester may procure timber from private landowners. Doing this entails contacting local forest owners, quantifying the inventory, and appraising the timber's worth. A forester may have to deal with loggers, aid in road layout, and make sure the work meets landowner requirements. He also must deal with state and federal environmental specifications to qualify for types of cost-share practices or maintain appropriate site quality. Foresters who work for state and federal governments manage public forests and parks and also work with private landowners to protect and manage forest land outside of the public domain. They may also design campgrounds and recreational areas. A consulting forester hangs up his own shingle and privately assists people and organizations that need forestry help (see more on what a forester does). After several years of on-the-ground experience and crew supervision, foresters typically advance to preparing reports, public relations, and managing budgets. 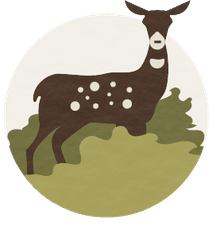 Many foresters become top executives in public agencies, conservation organizations, and corporations. Others become consultants offering specific forestry services and skills that they develop as they gain experience and knowledge. A technician normally has completed a two-year degree in forest technology from a SAF recognized forestry technical school. They generally collect the information used to make forest resource decisions. Technical career advancement and ultimate salary levels are usually less than for foresters, however, technicians often have the opportunity to work more in the field than behind a desk. The BLS Occupational Outlook Handbook defines a forestry worker as "less skilled workers who perform a variety of tasks to reforest and conserve timberlands and maintain forest facilities such as roads and campsites." The forest worker is usually the hands-on employee that facilitates first-line maintenance and protecting of the forest. Most forestry and logging workers develop their skills through on-the-job training. Instruction comes primarily from experienced workers. Many associations give special training, particularly for workers training to operate large, expensive machinery and equipment. Safety training is a vital part of instruction for all forestry and logging workers. Forestry and logging occupations are physically demanding. Most forestry and logging workers often do work outdoors in all kinds of weather, sometimes in isolated areas. Most logging occupations involve lifting, climbing, and other strenuous activities. 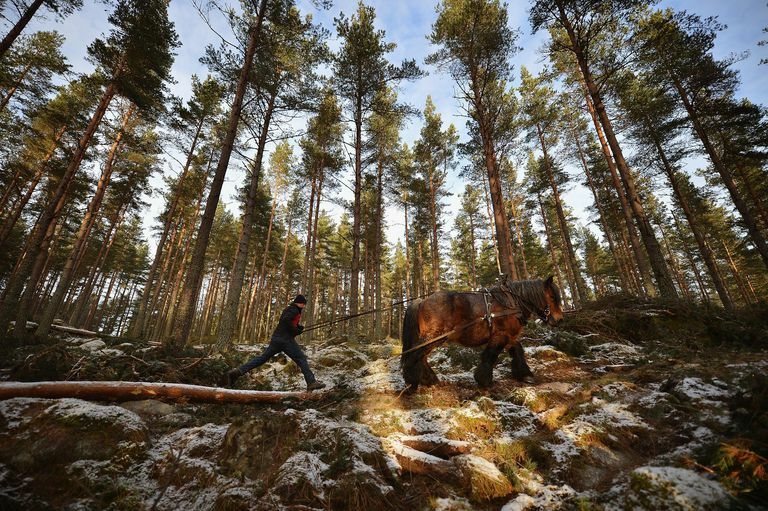 Loggers work under unusually hazardous conditions. Falling trees and branches are a constant threat and so are the dangers associated with log handling operations and use of sawing equipment. Over long periods of time, hearing may be impaired by high noise levels of logging and harvesting equipment. Experience, exercise of caution, and use of proper safety measures and equipment - such as hardhats, eye and hearing protection, safety clothing, boots, and fire shelters - are extremely important to avoid injury. Generally working under the direction of a professional forester, forestry technicians compile data on the characteristics of forest land tracts such as size, content, and condition. These workers travel through sections of forest to gather basic information such as species and the population of trees, disease and insect damage, tree seedling mortality, and conditions that may cause fire danger. A technician normally has completed a two-year degree in forest technology from a SAF recognized forestry technical school . They generally collect the information used to make forest resource decisions. Technical career advancement and ultimate salary levels are usually less than for foresters, however, technicians often have the opportunity to work more in the field than behind a desk. Most forestry and logging workers develop their skills through on-the-job training. Instruction comes primarily from experienced workers. Many associations give special training, particularly for workers training to operate large, expensive machinery and equipment. Safety training is a vital part of instruction for all forestry and logging workers.